Technical Safety BC (formerly BC Safety Authority) is an independent, self-funded organization that oversees the safe installation and operation of technical systems and equipment across the province. In addition to issuing permits, licenses and certificates, we work with industry to reduce technical safety risks. We take a comprehensive, knowledge-based approach to safety oversight that is comprised of four elements: assessment; research; education and outreach; and enforcement. These four elements form the pillars of our Accident Prevention Model. 1. We assess technical work and equipment, including collecting information through physical assessment, incident investigation, and registering new equipment and designs. 2. We conduct research, gathering data through assessment and contributing to provincial and national code development and updating regulations for the technologies we serve. 3. We educate and share technical system safety information with our clients and the broader public to better control risks. 4. We take enforcement actions when required to promote an equitable safety system where all participants are compliant with regulations. ASSESSING technical work and equipment, including collecting information through physical assessment, incident investigation, and registering new equipment and designs. CERTIFYING INDIVIDUALS and licensing contractors and operators to perform regulated work. SUPPORTING CLIENTS in the development of alternative safety approaches, and auditing their safety management plans or equivalent standard approaches. EDUCATING and sharing technical systems safety information with our clients and the broader public to better control risks. TAKING ENFORCEMENT ACTIONS that promote an equitable safety system where all participants are compliant with regulations. CONDUCTING RESEARCH, including contributing to provincial and national safety code development and updating regulations for the technologies we serve. 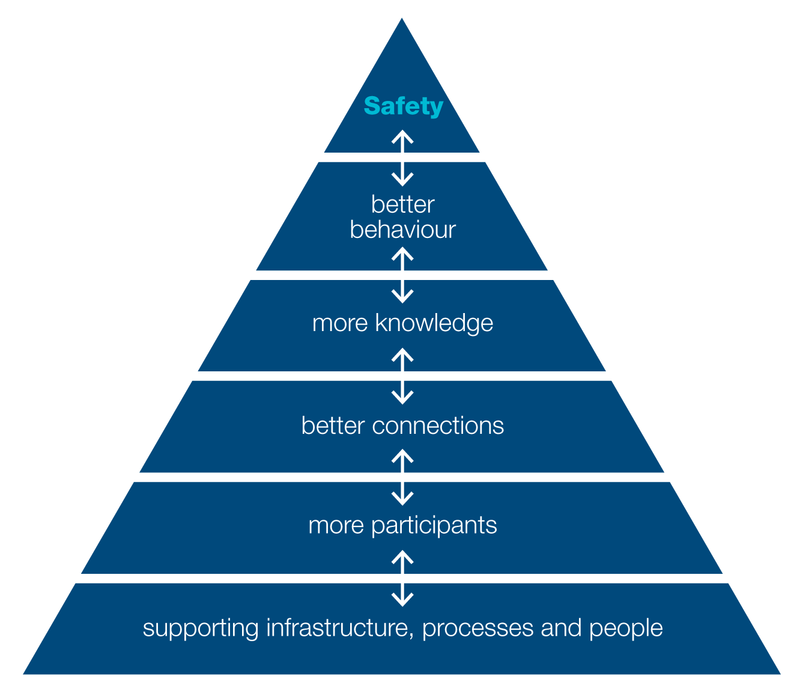 The safety pyramid is a framework for understanding and managing technical safety risk. Our success in being a safer BC hinges on creating value in every level of the pyramid. Learn more, in our 10-Year Strategy.